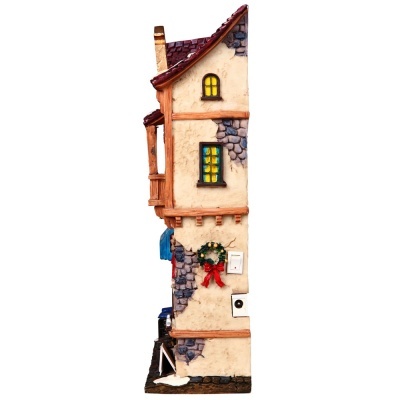 Lemax A Taste Of Italy Lighted Facade from the themed Essex Street collection depicts an illuminated Italian village shopping street scene with an array of viewable three dimensional shop window displays. Lemax A Taste Of Italy is a flat-backed slim lighted building suitably placed in and amongst a seasonal Lemax village street scene. 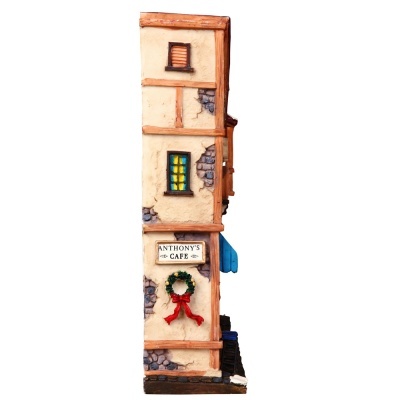 A popular Lemax Caddington Village collectable table piece that joined the Lemax collection in 2007. 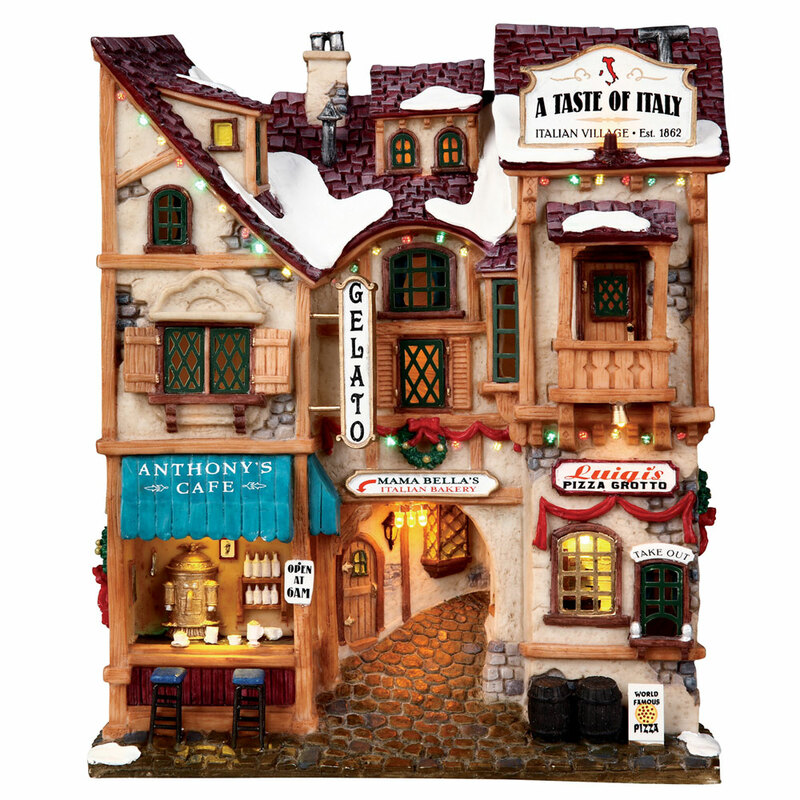 A Taste Of Italy offers a delightful self standing building on an individual base to compliment your seasonal Lemax Christmas Village.